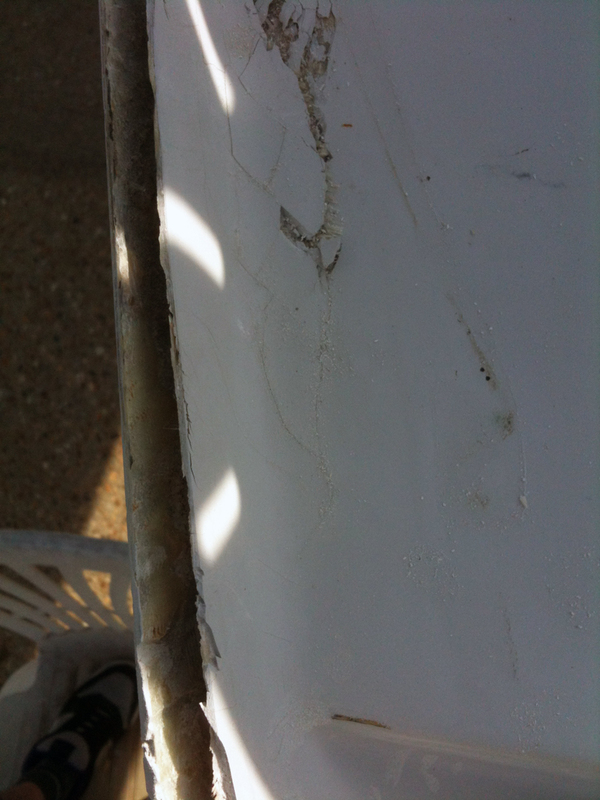 This RS Elite was involved in a port/starboard collision. 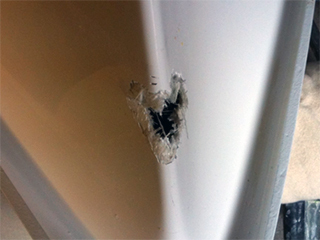 The damage to the aft port quarter was exaggerated due to a poor historical repair involving a lot of filler. 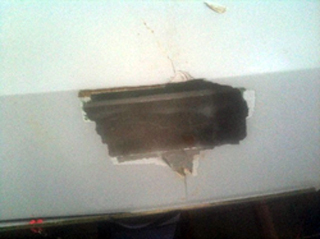 Initially, the damaged hull deck join was bonded to make the repair stable. The damaged area was then ground back removing a lot of filler from the old repair and damaged laminate. The hull and deck were relaminated to restore strength. 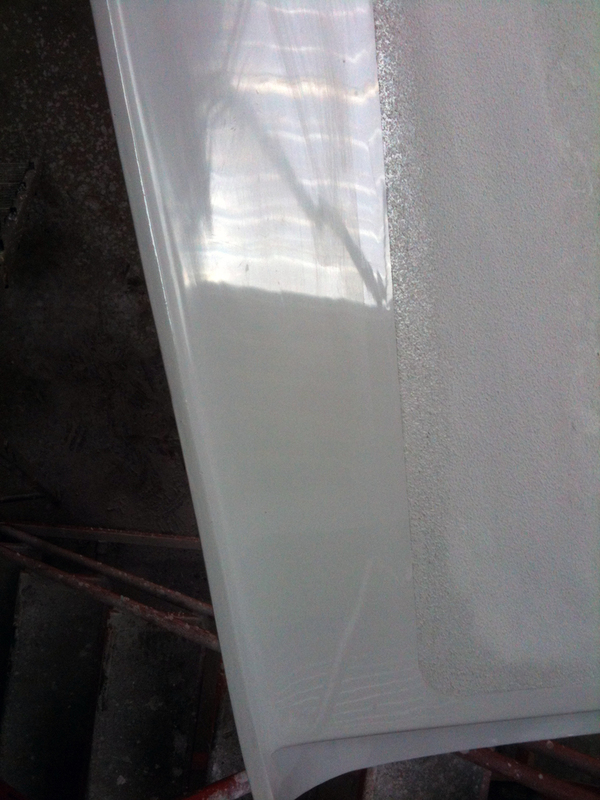 Finally, the repair was regelled and polished with part of the blue waterline restored in the process. 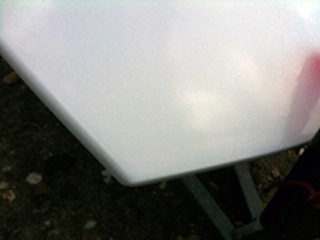 This is now the shiniest part of the boat – there might be a winter job for the owner to polish the rest of the boat! Click on the photos for an enlarged view. This Tasar had a port and starboard with a Fireball creating an impressive hole. 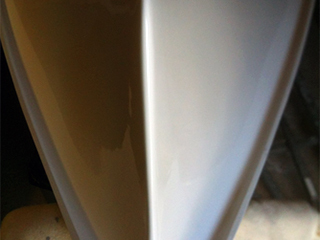 Tasar hulls are light weight, so careful consideration was given to make sure no unnecessary material was added to the boat yet still achieving a strong and durable repair. This Fireball tried to take on an RS Elite. 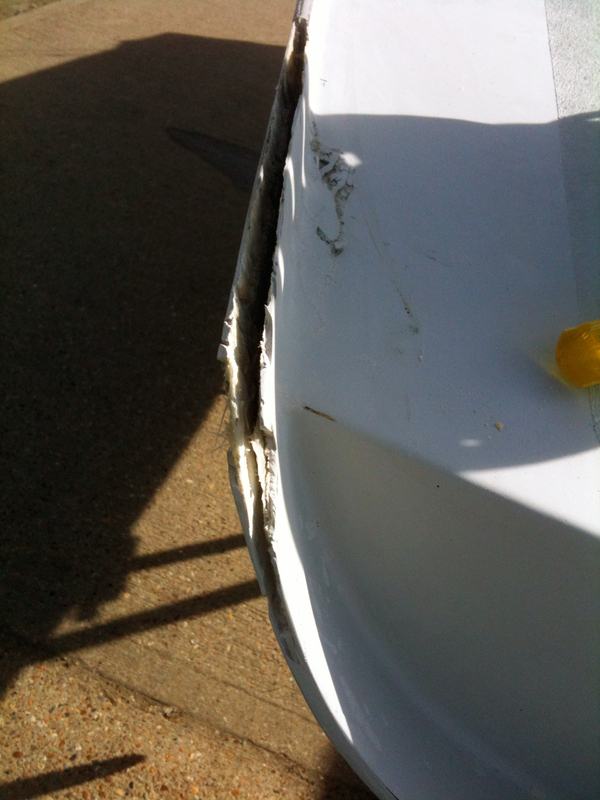 A surprisingly small amount of damage to the foredeck. 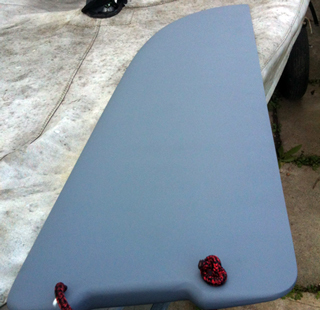 It split the hull deck join at the bow and required gel work and refinishing. This RS 700 was blown over during the 2014 winter storms. 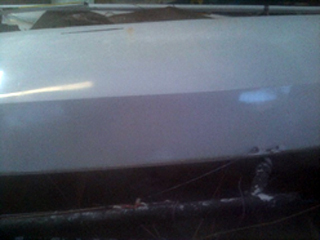 The trolley gunnel support went through the hull side causing considerable damage. A very time consuming rebuild in getting the foam the correct shape and the number of vac bagging processes to achieve optimal strength. 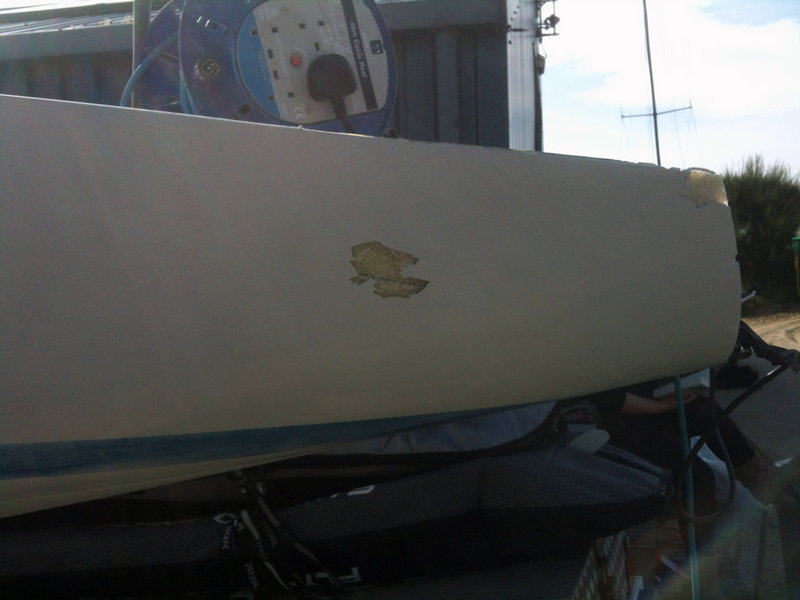 These RS Feva foils were a job lot from a local sailing club. 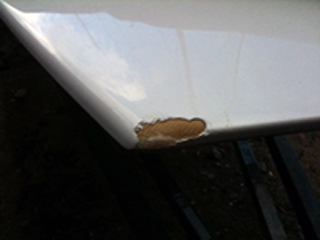 They had tip and trailing edge damage and required some attention to bring them back to their best. 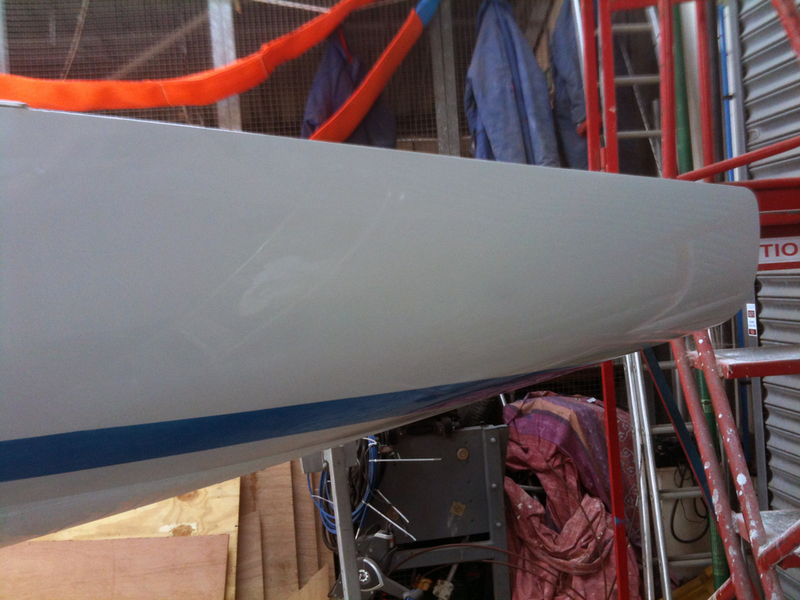 Having repaired the damage all the foils were resprayed and handles replaced – as good as new!